Staying warm through Winter 2017 season. Okay, this is a sort of seasonal trend that can easily be applied to both sexes - females and males. Simply because shearling coats been in the spot light for quite few seasons now. And simply because menswear and womenswear runway shows (or collections) have been filled with this type of outerwear. Speaking primarily of female-ish directions, it's classics (both short and long), a la cape, a la bomber and oversized versions that you can keep an eye on. 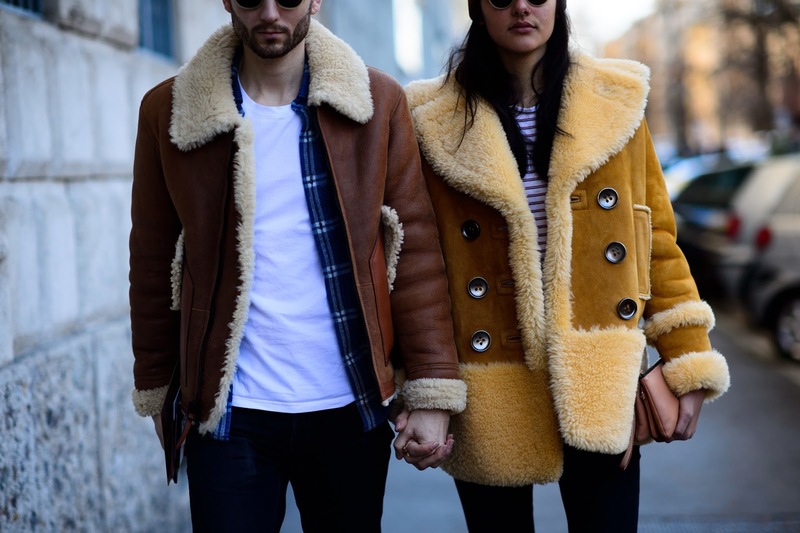 Speaking more of shearling coats in general, read for both sexes, it's definitely a variety of colors, and also prints, as well as a mix of fabrics you should take into account. Best runway references take us to Maison Margiela, Altuzarra, Balenciaga, Yeezy (men's options included) and Marc Jacobs. While the most investment-worth pieces, again for females and males, are collected in this PQAP selection.